In today’s Stand Up Against Sectarianism- #SUAS- series, Unionist Voice looks back on the mass murder of Protestants in the Darkley massacre. Today marks the 34th anniversary of the brutal sectarian attack by the republican movement. 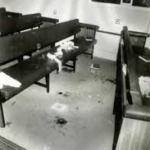 On 20th November 1983 republicans- under the orders of Dominic McGlinchey- entered Darkley gospel hall and murdered three Protestant worshippers and wounded seven others as they sprayed the gospel hall with bullets. 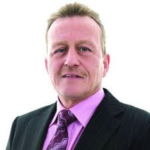 Dominic McGlinchey was a key player in the republican movement and spent the majority of his terrorist career as a senior member of the Provisional IRA. His close terror associates was IRA hunger striker and mass murderer Francis Hughes and current Sinn Fein MLA Ian Milne. 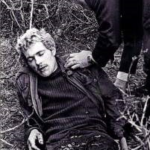 Ian Milne has never sought to distance himself from his ‘friend’ Dominic McGlinchey and indeed he spent many years in his early terrorist career prowling the countryside seeking out Protestant targets for assassination. Milne is himself a mass murderer and at one time was one of the most wanted men alongside McGlinchey and Hughes. The brutal murder of innocent Protestants at Darkley’s gospel hall was just one of countless examples of the republican movement’s relentless sectarian murder campaign. On Saturday Sinn Fein/IRA cheerleader Elisha McCallion ‘praised’ Martin McGuinness as a “proud IRA man”. McGuinness was amongst the mourners at McGlinchey’s funeral. 18 Responses to "#SUAS series- 34th anniversary of the republican movement’s sectarian terror attack on Darkley gospel hall"
Audio began playing when I opened this blog, so irritating! You made certain nice points there. I did a search on the theme and found most folks will go along with with your blog. Its like you learn my mind! You seem to grasp a lot approximately this, like you wrote the ebook in it or something. I feel that you just could do with a few to pressure the message house a bit, however instead of that, this is magnificent blog. A fantastic read. I will certainly be back. It is really a nice and useful piece of information. I am glad that you shared this helpful information with us. Please keep us informed like this. Thanks for sharing. as with the structure in your blog. Is this a paid subject or did you modify it yourself?